Itchy and flaky scalp can bother anyone. The scalp may become irritated or develop dandruff that can fall on shoulders. 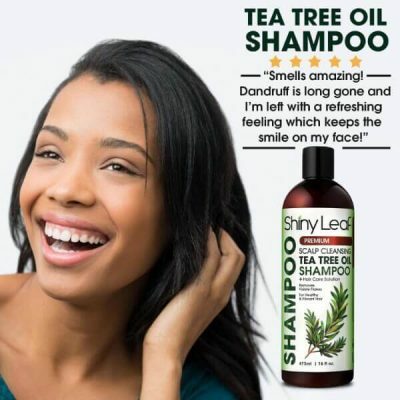 To keep both scalp and shoulders free from falling flakes, use natural hair care products. 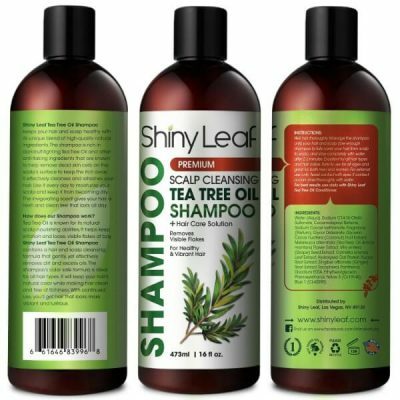 Shiny Leaf Tea Tree Oil Shampoo is the perfect cleanser that keeps scalp fresh and clean. It contains natural ingredients that nourish hair to make it stronger and smoother too. Discover the benefits of using this product for daily hair care. Men and women of all ages can be affected by dandruff. Dry skin is a major factor that might trigger dandruff. It can also be due to a fungus called Malasezzia globosa. An oily scalp is the perfect environment for this fungus. Flakes form due to the buildup of dead skin cells and other impurities. 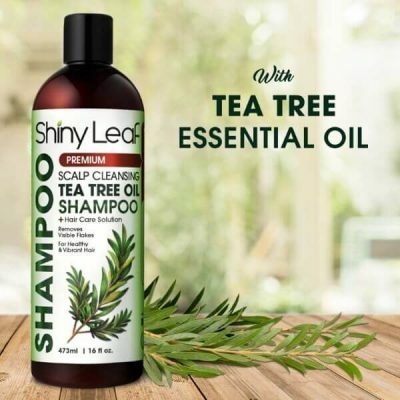 Using ordinary shampoo might help alleviate some of its symptoms, but to treat dandruff completely, use shampoos that contain dandruff-fighting ingredients. Shiny Leaf designed tea tree oil shampoo to fight dandruff and other conditions that can irritate the scalp. 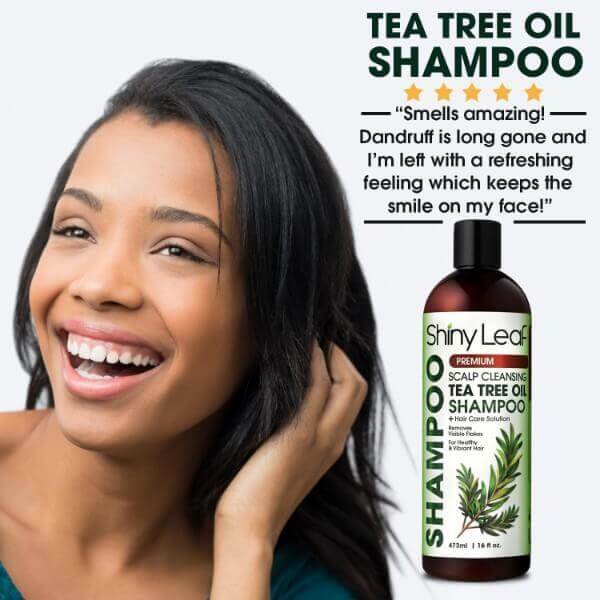 It contains tea tree oil, which is a known natural remedy for dandruff. 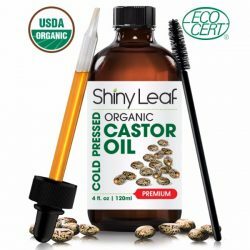 The formula soothes any irritation or itchiness the scalp may experience. 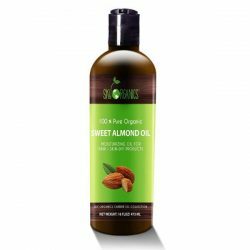 It hydrates hair to prevent dryness and leaves tresses feeling silky smooth after. The shampoo contains many natural extracts that provide nourishment and moisture to hair strands, which help improve the overall health and appearance of hair. 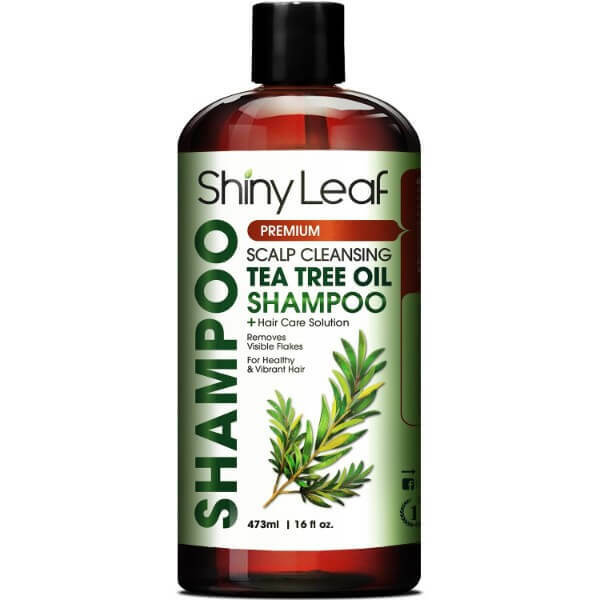 Use this shampoo to keep scalp flake-free while repelling head lice. 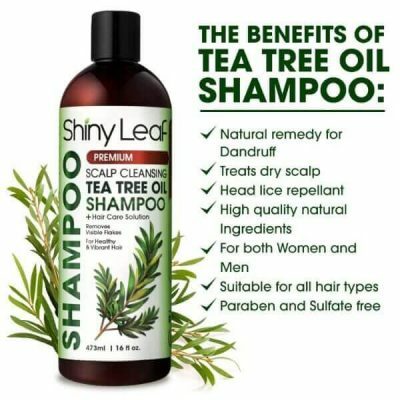 The tea tree oil it contains is known for having notable anti-bacterial and antifungal properties that prevent head lice from infesting the scalp. 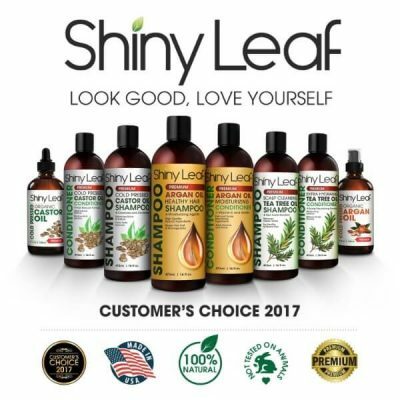 Don’t let hair and scalp become unhealthy. 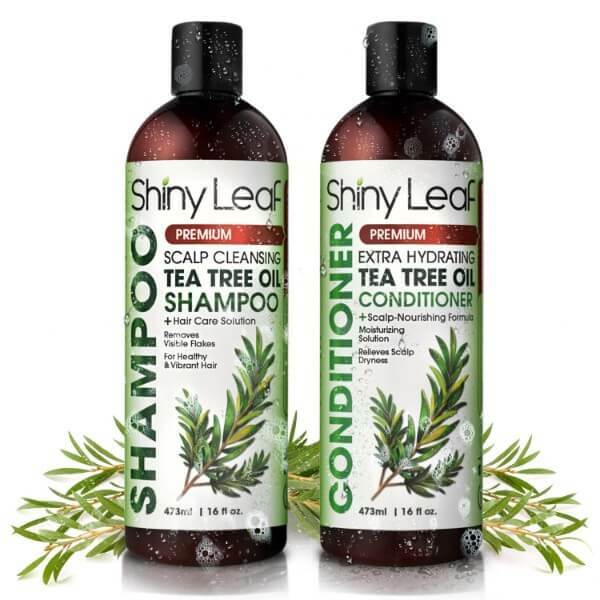 Shiny Leaf Tea Tree Oil Shampoo will protect hair and scalp from damage. 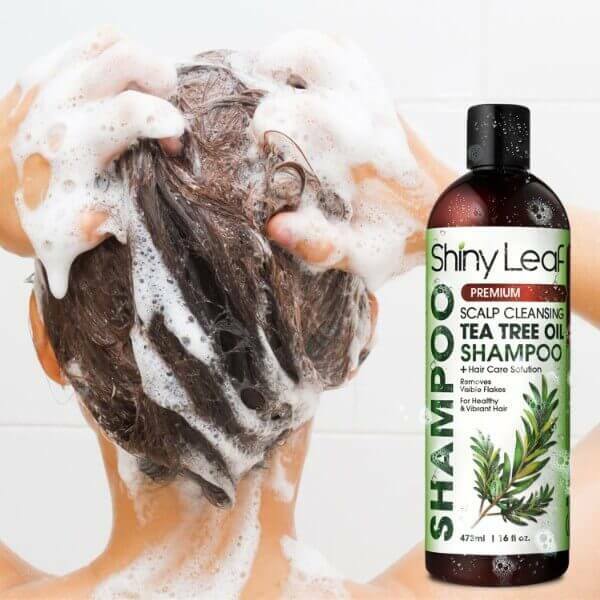 Get rid of flakes and relieve the scalp of dryness with this shampoo. 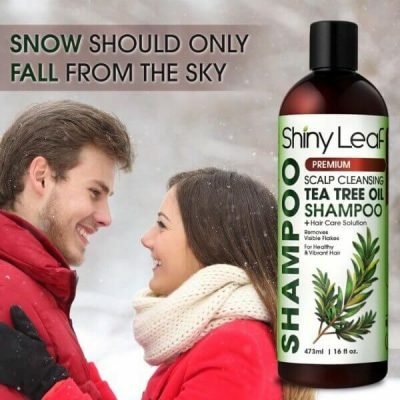 This shampoo is gentle enough for daily use. Comb through silky smooth hair without worrying about falling flakes!